The ToughBuilt FoamFit Knee Pads redefine how professionals use their Knee Pads. Ergonomic foam design embraces the natural shape of the knee and upper shin, maximizing pressure distribution for all-day comfort. High side walls greatly reduce twisting off of the knee. EVA elastic leg straps comfortably hold their place without cutting off circulation or binding behind the knee. Rugged materials and construction make these reliable Knee Pads withstand the most rigorous working conditions. 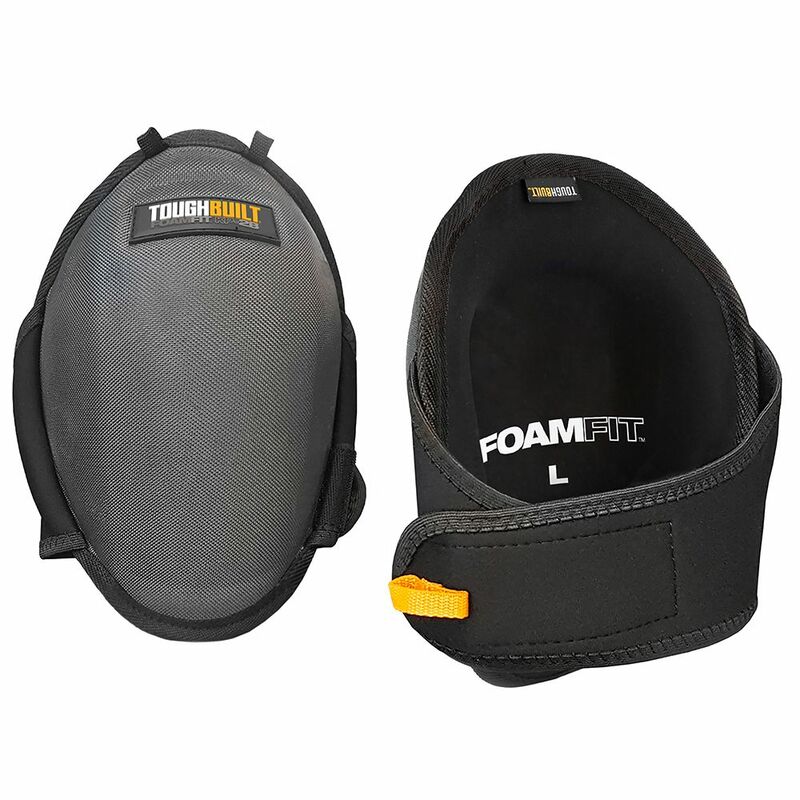 FoamFit Knee Pads The ToughBuilt FoamFit Knee Pads redefine how professionals use their Knee Pads. Ergonomic foam design embraces the natural shape of the knee and upper shin, maximizing pressure distribution for all-day comfort. High side walls greatly reduce twisting off of the knee. EVA elastic leg straps comfortably hold their place without cutting off circulation or binding behind the knee. Rugged materials and construction make these reliable Knee Pads withstand the most rigorous working conditions. FoamFit Knee Pads is rated 4.5 out of 5 by 11.